Almost all of us, at some point in our lives, will need to move house. Whether it be for university, for a new job, because you’ve started a family, or upgrading the size of your home because your family just keeps getting bigger – whatever your reason for moving, choosing a new home can be a hard and stressful task. First you have to find your dream home and then you have to come up with a security or mortgage deposit before anyone other potential suitors do. 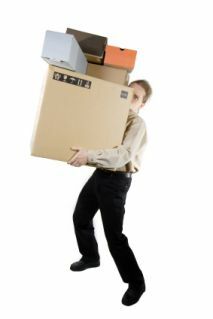 All in all, moving can be one of the most mentally stressful things a person can go through. But, if you have in your mind a clear idea of what you want from a home, then it need not be hard, nor stressful. When looking for a new home, consider these 4 points. 1) What is the motivation for leaving your old residence? If you are moving out of the nest in to the big, wide world then, for most of us, the main aspect we look for in a home is price. As house prices and rent continues to rise, finding an affordable home at a young age can be increasingly hard. The best advice anyone could give to you in finding your first home is to live in an area with the cheapest house prices around. Now, these areas may not be the nicer, nor the houses in them, but these areas are where you’ll find affordable housing. Remember, rent is just one of the many fees you’ll have to pay when you first move out: there’s council tax, bills and food to pay for. If, however, you are moving for a new job – a job that pays you more – then it might be time to treat yourself with a nice house in a nice area. 2) Are you moving because you are expecting new arrivals? A common reason for moving home is because you are planning to start a new family, or you know that you have a youngster on the way. Most people feel the need to move because there is not enough space in their new home. So if you’re moving because of a new arrival, then it’s somewhat pointless to move in to a similar size home. You’ll to move into a home that will be big enough to size your new nipper as it grows. If you’re planning on having more than one mini you, then be sure to buy, or rent, a house with that in mind. You also have to consider their education: be sure to research the schools of the potential areas you want to move into. 3) Come up with a budget and stick to it. But don’t just pull it out of the air; make a budget on a careful calculation on how much disposable cash you will have each month. Many people will set themselves a strict budget, but when they see their dream home which costs a couple grand more, they’ll adjust their budget in order to get that beautiful bit of property. Don’t do this. Your budget is what it is what for a reason. Now, obviously, if you see a house that is only a couple of hundred pounds over your budget, then by all means go over your budget. Just don’t spend money you don’t have on the accounts that you’ve fallen in love. 4) If it sounds too good to be true, then it probably is. And find out why it is. Estate agents, by law, have to tell you any outstanding detail of why a house might seem exceedingly cheap.